Dog barking control is important for many reasons, especially when you live in the city. Example: It's 12 a.m. You're lying in bed, very awake, and fuming. The neighbor's dog has been barking for over an hour... and you are ready to bang on their door, or call the SPCA, or the police! Often, your dog is being reinforced, or praised, unintentionally for barking. What do I mean? When he barks to be let inside from the backyard, and you open the door for him, he's being rewarded for barking. When he barks at the mailman and the mailman leaves, he's being rewarded. Here's the thing - we want our dogs to bark at and alert us to any intruders. So we don't necessarily want them to stop barking completely... we want to be able to control the barking, and be able to stop dog barking with a command. This is somewhat of a lengthy page, but barking is such a common problem, I wanted to give you as much ammunition as I could to solve it! Whether you believe it or not, dogs can get bored, too. And no, you can't solve the problem by turning the TV on for him when you go to work! Boredom and under-exercising is the #1 reason why people are looking for dog barking control. So many times I talk to owners who have a problem with a nuisance barker. Their dog barks incessantly when alone in the backyard, or when left alone at home for any amount of time. This becomes a really big problem when you live in an apartment or a town home, or anywhere in the city, for that matter. When you look a little deeper into the problem, this dog typically only gets maybe 15 minutes of physical and mental exercise each day (if he's lucky)! A lot of owners seem to think that having a fenced backyard for their dog to run around in is lots of exercise. They're too busy to take the dog for a walk, let alone commit to a regular exercise schedule. Unfortunately for any dog in this situation, he is going to have energy that needs to be burned off somehow. And since he's not getting properly exercised, it's going to come out in behaviors that we deem "inappropriate" - barking, digging, jumping, hyperactivity, etc. Especially if a dog is spoiled by its owners, he will learn to "demand" what he wants by barking. He gets a treat when he barks, let out of his crate when he barks, let outside for barking and then let back in when he barks. IF you always give in. Even a young puppy can figure out that you'll let him out of the crate if he barks or whines if that's what you normally do. Instead, correct your dog for barking (a sharp "Eh!" or a quick pop on the leash) and only praise for quiet, calm behavior. This is the most basic means of dog barking control. Attention-seeking barking is one thing, but if your dog has separation anxiety, it's a whole different ballgame. This ties in pretty closely with fear, as that is part of the problem. Separation anxiety is when your dog gets very worked up and anxious whenever you leave him - whether it be to another room, outside in the backyard, or home alone. This problem does take quite some time to work through, and unfortunately, is pretty common in dogs that are re-homed from shelters. For dogs with separation anxiety, an anti-bark collar is not always the best solution for dog barking control. Dogs and puppies, especially, can get very excited when playing. This often comes out in barking. Again, I don't mind if Justice barks a bit during play, as long as she stops when I tell her to. Teach your dog a command to be "Quiet", and you can use it in almost every situation where you need to quiet your dog! Also, avoid rough play and wrestling with a puppy or dog, as this type of play encourages barking, growling, and nipping. Instead, teach him to play fetch or search for a toy. Only let your dog out of the crate when he is calm and quiet. This reinforces that only quiet behavior is rewarded, and is a passive technique of dog barking control. The same goes for giving treats - instead of letting your dog bark for a treat, have him sit quietly or do a trick that you've taught him. Before feeding your dog a meal, make him sit and stay. Place the bowl a couple feet in front of your dog, and wait until he is sitting quietly and calmly before "Okay"-ing him to eat. Using a leash and collar to teach this is helpful - if he gets up out of the sit before you tell him to, don't repeat the command to sit or stay, but simply pop up on the leash and gently push his bum back down. Avoid really rough play, wrestling, or play fighting with your puppy or dog. This type of play usually triggers excited barking (as well as nipping! ), and the play will be seen as a reward for that behavior! While you are working on curbing your dog's nuisance barking, don't let him outside alone if he has a tendency to bark outside. That way, you can step in and make sure he doesn't race up and down the fence barking at pedestrians or passing vehicles. If you are focusing on fixing a barking problem, you're going to need to control any barking that occurs, as well as prevent it from happening in the first place. A tired dog is a happy, obedient dog! Hands down, this is so critical to solving a barking problem, that I would go so far as to say that it is the number one factor that you need to look at. A dog who is under-exercised will be bored, frustrated, have pent up energy, and be attention-seeking. At the very minimum, every dog should get at least a half hour of exercise each day. And I don't mean letting him in the backyard to "run around"... to your dog, it's just like being in a big pen. By exercise, I mean putting a leash and collar on and going for a good walk together! 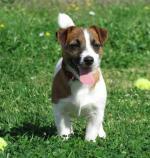 Walking (or migrating, as some trainers call it) is very primal to a dog. It is something that you owe your dog, and it's your job as the leader to provide it. Gone to work all day every day? Too busy of a lifestyle for that? Well, I hate to be the one to say it, but maybe you shouldn't have a dog or puppy. get a dog backpack - the extra weight will intensify the walk for your dog, so a half hour walk with one on is equivalent to about an hour without one on. Just be sure to slowly work your dog up to this point, by adding weight over a couple weeks and slowly increasing the time you have him wear it. rollerblade or bike - in good weather, you can take your dog with you on wheels! Great exercise, but again, make sure you allow your dog time to warm up and cool down after running. play fetch - this is not something to do instead of going for a walk, but as well as. get a treadmill - don't let this replace regular daily walks, but if you can't get that hour of exercise in, walk for a half hour together, and then let your dog walk on the treadmill for 15 minutes or so. It takes a bit of practice and time to train your dog to use one, but can be well worth it as a means of dog barking control! This type of dog barking control works especially well if the barking occurs while you are home or on walks. If, for example, your dog barks crazily whenever someone comes to the door, set up that scenario. Put your dog's leash and training collar on, and have a friend come over. Allow your dog to bark once or twice to alert you (verbally praise for this), but then give a command to stop barking - "Quiet", "Enough", or whatever word you want. Just be consistent with that word. If after giving the command to Quiet, your dog continues to bark, don't repeat the command again! Say nothing, but loosen the leash for a split second, pop straight up fast, firm, and mid-woof, and then loosen it again. You won't hurt your dog's neck by giving a firm correction, and the collar should only ever go tight for one second. When he stops barking, praise him calmly - over-the-top praise will just get him exited. If he barks again, don't repeat the Quiet command. Instead, simply repeat the correction, and praise him again when he stops barking. Why shouldn't you repeat the command? You want your dog to learn to listen to the first command you give him, right away, and to hold that command until you tell him otherwise. Repeating commands only teaches a dog that he can listen when he feels like it - after the fourth or fifth command, not the first! Practice this every time someone comes to the door. It's helpful to keep your door locked so that no-one can come in and catch you unprepared. You may also want to leave a leash and collar on in the house while you are home so that you can always be ready to correct any unwanted barking. 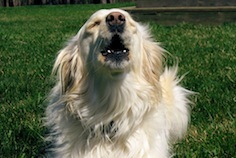 This is the most hands-on approach to dog barking control, and is really effective. For many dogs that nuisance bark, this is a great tool for dog barking control, especially if it occurs when you are not around. Always start by increasing the amount of exercise that your dog gets each day before using an anti-bark collar. Keep in mind, though, that I would be careful to use an anti-bark collar for a dog with separation anxiety as it would stop the barking, but definitely not fix the underlying problem. These dogs are already very anxious and worked up, and to then use an anti-bark collar on him or her will likely result in more destructive behaviors like chewing, digging, or self-mutilation. The trick to using any type of anti-bark collar is to teach your dog to love the collar. Spend about a week desensitizing him to the collar, and be sure not to even turn it on for this first week. Simply have him wear it around the house. Put the collar on him, and then feed your dog dinner or a treat. Play with him while he's wearing the collar. These sort of exercises will make your dog associate the collar with positive things. If you only ever put it on when you go away, he'll simply associate the collar with you leaving, and will also become "collar-trained"... collar goes on and he behaves, collar comes off and so does the good behavior! for effective dog barking control, you must always catch your dog in the act, and correct him for it either mid-bark or no less than 1.5 seconds after the behaviour happens! if your puppy barks in the crate at night to be let out, try restricting his food and water after about 7 p.m. Take him for a walk before bed to give him a chance to eliminate. Now you know that he shouldn't have to go pee or poop at night. If he continues to bark and you're sure that isn't the problem, he's likely learned that barking will get you to come and let him out. You'll have to suffer through a couple nights of this, but eventually he will learn that barking doesn't get anything. As a responsible dog owner, you need to make sure that your dog is a well-behaved member of the family (and society!). It's all-too-common in the city for the SPCA and police to get calls about barking dogs. 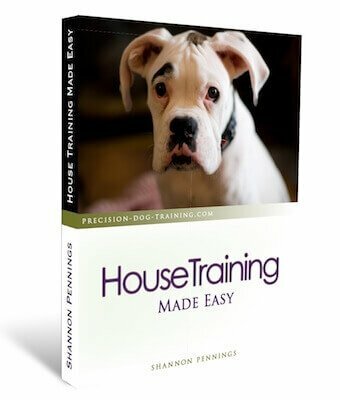 Using these techniques, dog barking control should be a problem of the past for you!